Growing up, trick-or-treating did not happen in the Quiring household. We’ve warmed up to the tradition since then. My sister and I have taken her son out the last couple years. Last year he was Batman so I became Alfred. 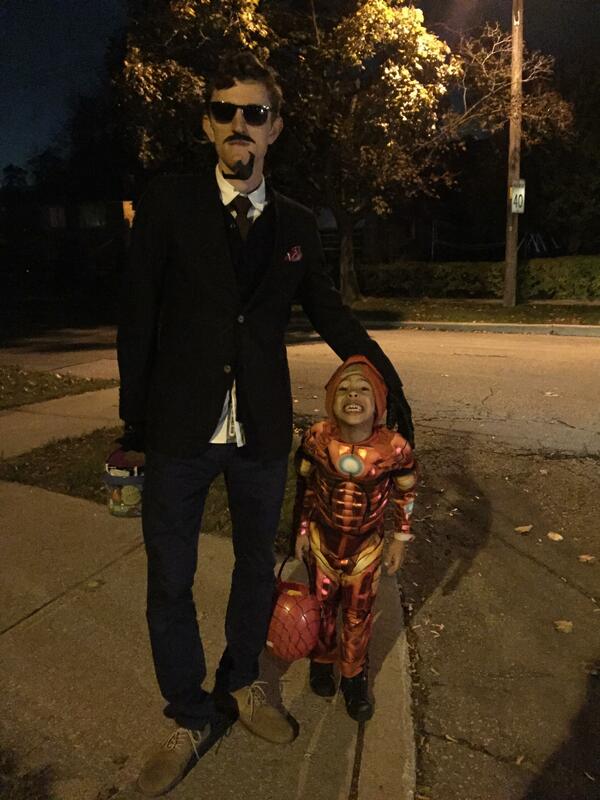 This year he was Ironman so I was Tony Stark. Mr. Stark should have put an extra few strips of tape on that goatee.